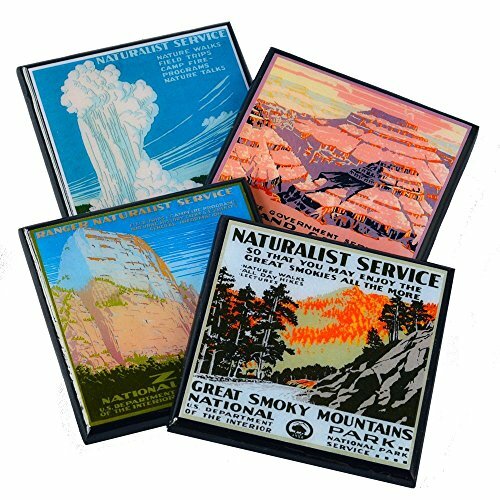 Drink coasters featuring vintage WPA Art for our National Parks. You receive all four coasters pictured. Sealed with a glossy waterproof, heat resistant resin these coasters will make a great hostess gift pop of vintage travel decor for your coffee table. If you have any questions about this product by Cheltenham Road, contact us by completing and submitting the form below. If you are looking for a specif part number, please include it with your message.